Continual improvement is a quality of every successful leader. This explains why the phrase ‘leaders are readers’ is so popular. And look at you, here reading this post, making this phrase ring true in your life as well. 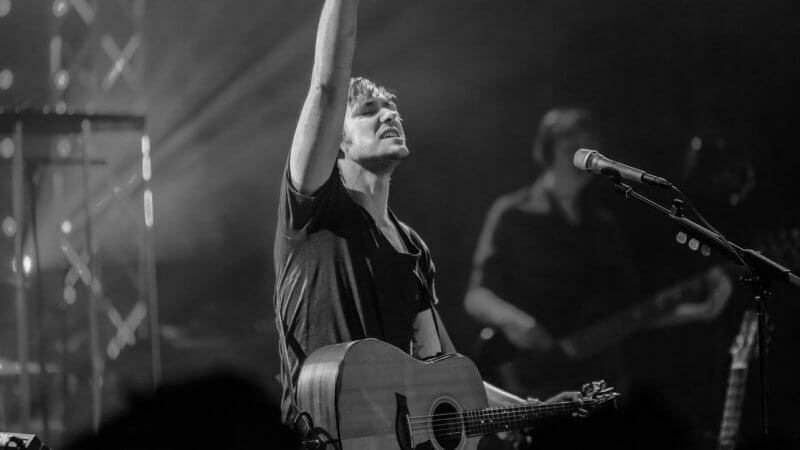 So, let’s discuss six ways to become a better worship leader. 1. Become a better mentor. It is common for people to believe that the only quality needed to be a good worship leader is to be a good musician/vocalist. This belief is FAR from the truth. Although musical skill is important, there are many things that are much more important – one of which is mentoring. Your worship team is looking to you for leadership, not only in music, but in their spiritual lives as well. Are you displaying the love of Christ to your worship team? Are you patient, kind and always believing the best? The best way to mentor is to lead by example. Make sure you show up prepared, prayed up and spiritually strong…every. single. time. Many worship leaders never take the time to learn basic sound engineering principles. The result: a never-ending stream of frustration with the audio tech team. You don’t like the way it sounds, but you also can’t communicate how to make it better. You may be thinking, “I don’t need to learn sound…that is the sound guy’s job!”. This thought is definitely an easy cop-out, but I guarantee that the time you put into learning sound will pay off dividends in the long run. Remember, you don’t have to be an expert, but you need to know enough to where you can train new volunteer sound techs and communicate effectively when something needs to change. It is easy to get distracted by things that don’t really matter, like: the fact that one of your musicians wore a Hawaiian shirt last Sunday or the cleaning crew left your cables in a mess. Believe it or not, we have an enemy that is looking to destroy our effectiveness as worship leaders. And, if he can get you distracted, he has done his job. Several weeks ago, my drummer called in sick just a few hours before service started. It was also the holiday season and there was no one to fill in. I had two options: get stressed out or go with the flow and improvise. So, I decided to give the rest of the band the week off and lead worship with just me, my keyboard and my wife (she is one of the vocalists on our worship team). To my surprise, the church loved it and several folks requested that we have this type of worship setting more often. When we choose not to sweat the small stuff, we disarm the plan of the enemy and the results are unthinkable. 4. Equip the worship team to lead without you. It is often said that the sign of a good leader is when their team can operate well without their presence. It is no different for worship leaders. So, let me ask, what would happen if you didn’t show up for a few Sundays? Would worship be just as good as when you are there? For me, I have some work to do in this area. My worship team can operate without me, but I haven’t given them enough opportunities to become good at it. So, they still get a little nervous when I am not there. If you are just getting started, the first step is to stop leading a majority of the songs vocally. Pass this off to other capable vocalists. Then, schedule a service where you don’t play or sing, but you are still there to lead rehearsals. This is the place where I am currently. The next step for me is to train someone on my team to lead rehearsals. From this point, they should be able to handle it all with or without me. 5. Encourage your team more often. It is far too easy to point out the things that need fixed and forget about the good things that are happening. My goal is to encourage twice as often as I correct. However, this can be a challenge because encouragement should be specific. For example, instead of saying “Good job.” you should say, “Great job on that guitar solo. I am impressed!”. You might also like: Does Your Worship Team Feel Appreciated? 6. Develop friendships with those on your team. Do you only see your team members at rehearsals and services? If so, it is time to start scheduling times outside of church to get to know your team. Trust me, having a team of friends instead of a team of acquaintances is much more enjoyable and effective. Plus, being a worship leader is much more than ‘getting the job done’. More importantly, it is about serving and loving others (especially those on your team). This is some great info! As the new Worship leader at my church, I’m trying to learn as much as I can and appreciate the wisdom. This is a good encouragement. I think the last three are so hard but can be so easy. It has to be a constant reminder that we are here to serve the people more then we are to direct them. Not saying not leading but we must have a servants heart. The hard thing for me I think is if someone calls of I take it more personally than I should. Be loved. We love because He first loved us (1 John 4:19). Worship is our response to the love of God. period. Anything else is fake. We can only pour out what God has first poured into us. When we realize the vastness and the depth of His love for us, when we receive that, then everything changes and our hearts begin to overflow with His love. Worship from joy. The joy of the Lord is our strength and shield (Psalm 28:7). Resolve to lead worship from a place of joy. It will energize you and protect you from needless stress, worries, and other distractions. There are countless things that would seek to rob us of our joy, our awareness of God’s presence. Just resolve to be most aware of feeling the Lord’s pleasure, His glory, as you worship. Get genuinely excited and wonderfully wrecked at the prospect of leading others into the God’s glorious presence! There’s no pressure to perform for people when you’re just playing for your Papa’s pleasure! This practice has helped me greatly and made worship leading more fun! Let worship consume your life! Worship is a heart attitude with a million expressions–music being one of them. Let your life be consumed with the adoration of King Jesus! You can’t go wrong with this! After all, it is the greatest commandment. A worship leader leads by example. Be it through songs or how well they love their wife, leading worship is life encompassing. One other thing leaders should always exalt the presence of God. I always day that if the leader can’t get into God’s presence, they can’t get anyone else in. Be cause in the His presence there is fulness of joy! This is the essence of praise and worship. So we must stay in the Word of God and continue our daily fellowship with Him.2Corinthians 3:17 Where the Spirit of the Lord is there is liberty, the captive are set free. Ultimately we want Him there. Bless Lord with me! Thanks for the tips Kade! One thing I have found helpful and would recommend for any type of leader is to have “thick skin.” As leaders we should be open to feedback and criticism from the congregation and from team members. This goes hand in hand with “don’t sweat the small stuff.” We can’t make everyone happy all of the time and honestly, we shouldn’t be trying to make anyone happy. We should be focused on lifting up the name of Jesus. We can’t get upset every time someone doesn’t like they way we do things or agree with the song selection. We need to take the feedback and give yourself an honest look. Sometimes it can generate good changes and other times it is someone just complaining. Either way, everyone is entitled to their opinions and input, but we as leaders can’t take everything personal. This is something I have struggled with from time to time. We need to remember and take assurance that God put us in the position of worship leader and as long as we seek Him and want to do His work in the worship ministry, then He will guide and direct us. I agree with you, Ryan. I’ve learned – and continue to learn – how to refuse to take offense. John Bevere’s book “The Bait of Satan” has helped me considerably. And to add to the list, be kind but also straightforward in informing teams of upcoming stuff. I tend to preface everything or pad it…over the past year, I’ve taken the approach of being kind, casting vision through the “what” we’re doing, the why behind it, and take the journey together; those who can’t make the journey, God bless you, love you, and how can I help you plug in elsewhere. It’s hard for sure but well worth it in the long run. 7. Don’t limit your time on Sundays (or whichever day your church worships) to just your worship team. Be sure to encourage your entire church leadership team. Take a quick stroll (or careful run) through the nursery/kids ministry while the volunteers are setting up and cheer them on. Stop to pray with your pastor(s). Wave to the kids who arrive early. Shake hands with the older folks as they settle into the first few rows if you can. High-five the teens because they need to be seen! 8. Give someone else on your worship team a song to lead (both in rehearsals and during worship). Stepping back and watching your team members lead and minister with their talents has been the biggest blessing I’ve ever received! 9. Incorporate your youth into worship. Chat with your youth leader(s) to see who has expressed an interest or talent in music. Bring them in for rehearsals and let them see your process! After all, training the next generation of worship leaders is part of our calling. Thank you Worship Leaders for all you do! We’re all in this together! These are great! Thanks, Sallie!